Hello! My name is Rosey, I'm 15 and a Sophomore at high school. This year has been awful. Here is a background check-- A couple years ago, my mother was diagnosed with cancer (which she is now a three year survivor) and my dad's family business burnt down to the ground. Both my parents drink, well one quit. I never thought of my parents as alcoholic until this year. Both my parents have coke and pure alcohol around 6. My dad has about 4 or 5 shots of alcohol every night. It wasn't that bad yet with my dad but one night my Mom sounded like she was going to kill me. She was banging on my door and screaming for calling my 27 year old sister, who lives in a different state. She is my best friend and I tell her everything. After that day, I left and stayed at my Grandmothers until I thought I could go back, I was told by many people I should of called the cops if I thought my Mom was going to hurt me. About 2 weeks later when I left, my Mom moved in with my Grandma and I. I thought what the heck, I left to not see you and now your here!? She said she wanted to quit and take a break. After that, my Grandma took sides with my Mom and I couldn't handle that anymore. I went back to my Dad's when things started getting worse. My dad never got drunk, I never ever saw him drunk except my Mom. The next day, I called my Mom and she came over and she saw he fell into the shower and broke the door, and she saw all the blood stains. The next couple of days, he kept falling and now I just ignore it. Now he just drinks straight alcohol, but he hides it from me. I get on him a lot and he often comes back with "I quit, I don't want to lose you". I used to believe that, but now I don't. We often find 3 bottles of alcohol in his room. 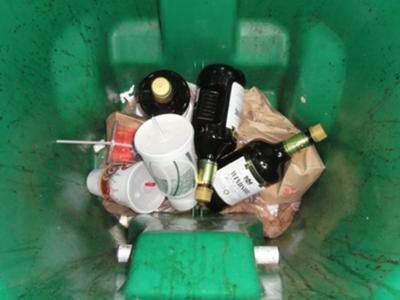 We also later find 3 bottles in the recycle bin emptied. Every time we pour it out he goes out and buys more. They are $20! Besides the point, we are broke. My Mom is leaving my Dad now because he won't get help. I'm lost, I have tried to help my Dad get help. The other night we found a large knife in his room. My Mom could of done it though when she was drunk, or slept walk. But either way, I feel like my life is in danger and I can't take this much longer. I feel like I can't trust either parent. I don't know what to do, should I stay with my Mom? My dad is not an option. My family member who lives in a different state said I am more that welcomed to stay there. Can you guys tell me what to do? All I do is cry, and cry. I feel so bad for my Dad yet I don't. He started drinking when he was 5! (Not like heavily though). Now some of my friends can't go places with me because my Dad drives and they can't ride with him. I'm not old enough to drive yet either, until this December. Please give me some advise? On what I should do!? Comments for My Dad, The Depressed Alcoholic. My friend Tim had a big problem with drug addiction and alcoholism, until he went to A Road to Recovery Rehab. My son Brad was suffering with drug addiction and alcoholism, so we sent him to A Road to Recovery Rehab. My mom was suffering with drug addiction and alcoholism and my pastor recommended A Road to Recovery Rehab. You're handling this better than many people I know, and for that you deserve a round of applause, two million dollars and a pony. I wish I could give the last two to you. I'm from a family with two divorced, alcoholic parents, so I can understand the complexity that comes with recognizing when it's time to take action. I, myself, chose to tough it out and I truly, truly regret it. You can't fix them alone, and if you feel endangered you should choose the course that's right for you, even if it means getting the authorities involved. Some background on my story: Both of my parents are extremely depressed, and I've spent the better part of my life listening to one or the other, depending where I lived, weeping. Now I have anxiety issues that make everyday a challenge for me. My parents did... sort of sort themselves out, but now that I live on my own I'm still dealing with the repercussions, whether it be drunk texts from my father telling me he's done with me and he 'has no children', or weepy phone conversations with my mother while she's drinking. So I suppose long story short is, you're only a kid. You don't deserve this, and shame on your parents for making you endure it. They're adults, it's THEIR problem, and if they make you feel the least bit unsafe in your own home you DO have the right to protect yourself by getting help. It's nothing to feel guilty over, and I genuinely pray you choose to do what I couldn't when I was a kid. You're handling this really well so keep on hanging in there. My advice to you is that if you don't feel safe you need to go to the authorities, like the police and social services, not just for your sake, but for your parents sake. Because unless drastic action is taken it doesn't seem they'll wake up to all the damage, pain and hurt they're causing. Sometimes unfortunately it takes serious intervention before alcoholics realise what they're doing and will be prepared to make changes with their life. And going to live with other family is probably the best thing for you to do right now. You need to be an environment where you can focus on school and your studies as best possible, not have to constantly worry about what is going on with your parents. My mother was an alcoholic and I know how incredibly difficult and painful what you're going through is. Having people you can also talk to and confide in helps, so don't be afraid to do that. The more support you have the easier it makes what you're going through to deal with. Good luck with everything and thanks for sharing your story.